Owl Sleeved Bib Is Really A Hoot! 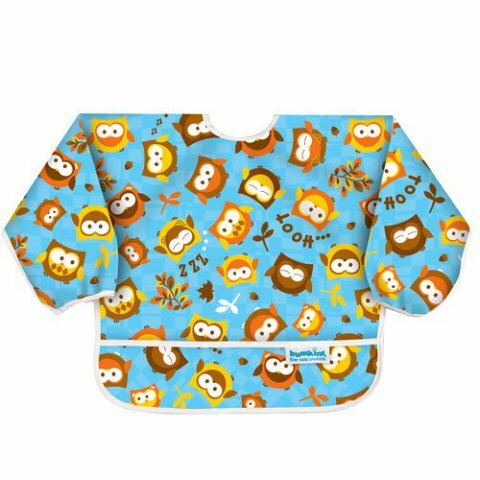 Keep baby cleaner at mealtime with this adorable Bumkins Waterproof Sleeved Bib with owls. The extra coverage is great for those tiny tots who are very interactive with their food, or just trying to get the hang of a spoon. Stylish design with a roomy pocket to catch bits that try to get away. The waterproof fabric is easy to wipe off and is machine washable. Hang it up to dry. An adjustable closure allows for changes as baby grows. For safety the bib is also free of PVC, BPA, phthalates, vinyl and lead. The bib comes in numerous patterns, including animals, fish, and butterflies. For more information or to order, click here.